Salesforce is popular for the sales process management and taken as the powerful marketing tool too. In brief, Salesforce CRM is a complete package that focuses on marketing activities too with the Marketing Cloud and available with a plenty of automation features. Email marketing is also taken as one of the most powerful marketing tools and Salesforce provides 1-to-1 mas mailing features as needed. But its email marketing features are limited and we will discuss how can you remove this limitation and why there is a need for the MailChimp integration with Salesforce to remove the limitation. 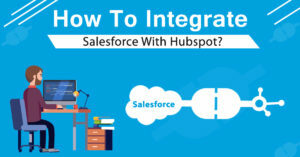 What is the need for Salesforce and Email service providers integration? Salesforce is capable of sending only a limited number of emails per day i.e. 1000 maximum even if you are using unlimited or professional editions. For small businesses, this limit could be fine but large organizations could not limit their function to a specific count. This is the reason why there is an emergency need for third-party email service providers and MailChimp is one of them. MailChimp is an amazing marketing tool that automates a variety of features and focused on bulk email delivery. MailChimp is immensely popular these days and it is perfectly suitable for enterprises and start-ups both. The integration of Salesforce and MailChimp is not difficult but you should follow a set of steps in sequence to achieve the success. There are two popular techniques for MailChimp and Salesforce integration – it can be done either through application or the API way. 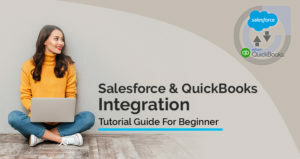 The basic requirement for the first technique is the installation and configuration of an application within Salesforce. In the second technique, you need custom codes to leverage the Salesforce and MailChimp APIs together. However, integration through an application is not as flexible as it is done through APIs. 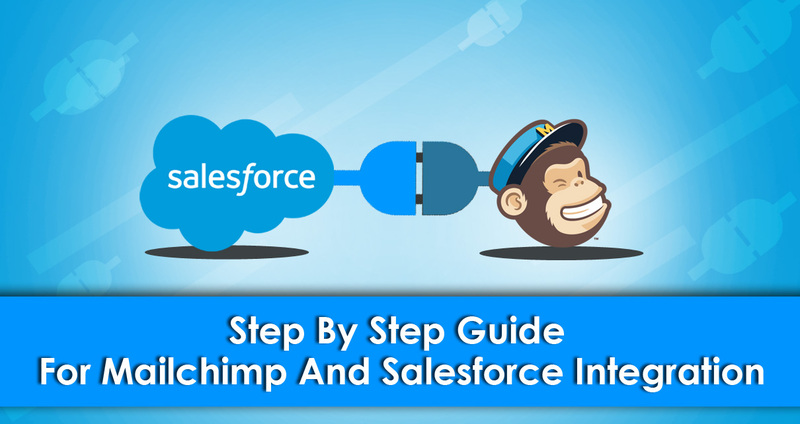 Here is step by step process for Salesforce MailChimp integration through an app. Firstly, install and configure the app in Salesforce. The app is quickly available at the Salesforce AppExchange for download. Once you have installed the app successfully, the next step is to define MailChimp sections to your content layouts. For this purpose, go to the Setup -> leads/Contacts -> Fields -> Layouts. In the Layout, you can see the VisualForce page. Simply drag and drop the Membership Contact section to the layout created by the MailChimp app you installed currently. For professional or unlimited editions, you can also add MC fields in the layout designer section. You have the flexibility to change the fields in the Layout Designer section. Don’t forget to save the changes at each step. First of all, log in to your MailChimp account and open the Account Panel. From the account panel, Choose Integrations then click on the Salesforce. Now click on connect option and it will open the Salesforce authentication page in front of you. As soon as you will log in, it will redirect you to the integration page. If everything goes right then it will pop up the success message else you have to repeat the process. In the above sections, we have integrated Salesforce and MailChimp successfully, this is the time to import the contacts to MailChimp from Salesforce. First of all, go to the list pages in MailChimp. Start creating a new list. From the drop-down menu choose the import option. Now choose the integration services and you will get a complete list of services that could be connected with MailChimp. Select the Salesforce from the list and move ahead. In this step. You need to complete the mapping. Go to the Import Fields then choose the SFDC fields which you want to add. Click on import option and map the Salesforce fields with MailChimp list fields. Click on review then import option. In case, you are interested in adding a different list of contacts then you should repeat the process as explained earlier. The integration not only helps in importing contacts or mass emailing but allows you to keep track of subscribers and prospects too. You may check campaign status or member activities under the Salesforce tracking option. Additionally, the campaign details are synchronized with the Salesforce in the real-time. 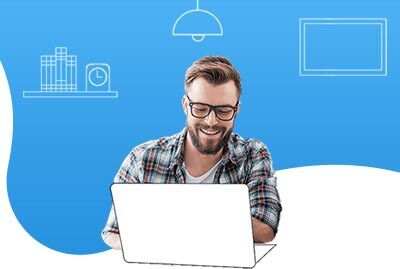 With this discussion, you are now completely ready to start with a successful Salesforce MailChimp Integration in a few simple steps only. 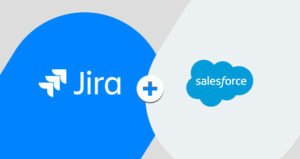 How to Integrate Salesforce and Jira Cloud?